Join Tipbet Sports today and back your favourite Bundesliga sides in matchday 13 with Today’s Enhanced Odds! 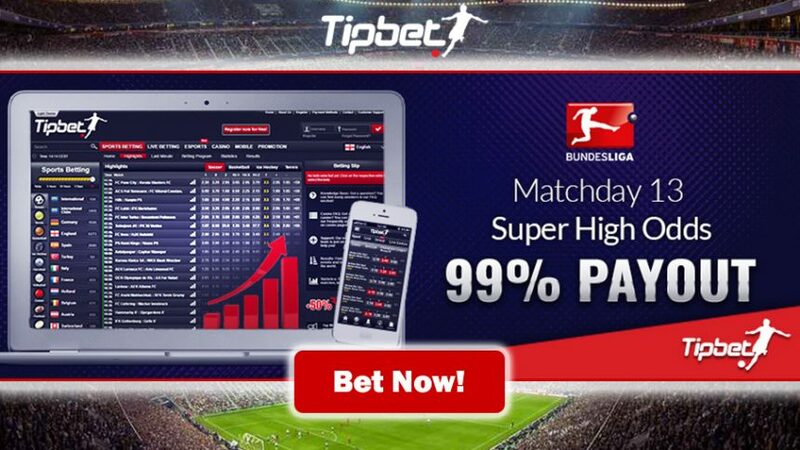 Get the most for your money at Tipbet Sports with their massive 99% payout rate; join today and place wager on the Bundesliga encounters in round 13 this weekend with Today’s Enhanced Odds. This is a limited time offer, as it’s only available for December 3 + 4, so make sure to jump on the opportunity while it’s hot! Today’s Enhanced Odds at Tipbet Sports are higher than that of those at Bet365 Sports. Let’s take a look at the match between Werder Bremen and FC Ingolstadt; Bet365 is offering odds of 2.30 (13/10) for the hosts to win the game on Saturday, while at Tipbet that same team’s odds have been boosted to 2.50 (3/2). This is only one great example of what you stand get from Today’s Enhanced Odds at Tipbet Sports. 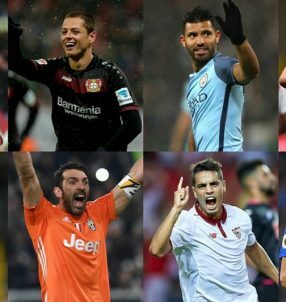 Now imagine multiplying those odds with other Bundesliga matches during the weekend, and then multiply that sum with the amount of your wager, and you could be pocketing a small fortune after the weekend is over. Don’t let this chance slip you by! RB Leipzig have surpassed Bayern Munich at the top of the table with 30 points from 12 encounters so far this campaign, however the latter side is still holding strong with 27 points in second. Dortmund on the other hand have fallen all the way down to 6th position, having hit a poor run in recent games; so far they’ve collected 21 points, but we’re confident they’ll be fighting for the top positions in the German top flight pretty soon, considering the crop of players they have at their disposal. 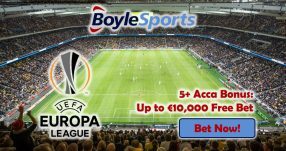 While other online sportsbook are being stingy with their odds, use Today’s Enhanced Odds at Tipbet to get ahead! 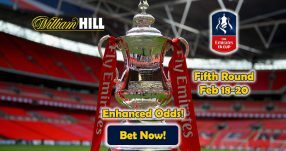 Win big with Today’s Enhanced Odds!